” With Aluminium, Smooth or Wood Grain finishes & a range of Colours; you can make your doors look amazing. Get 3 independent quotations from trusted installers. We can save you time & money with some of the best prices in the UK. Multi – folding doors can create a virtually obstruction free opening which turns your inside space “into one” with your outside space. Creating masses of usable room for your home or your office they maximise space with functionality and beautiful lines; bi-fold doors, or multi-fold doors can be the perfect choice. 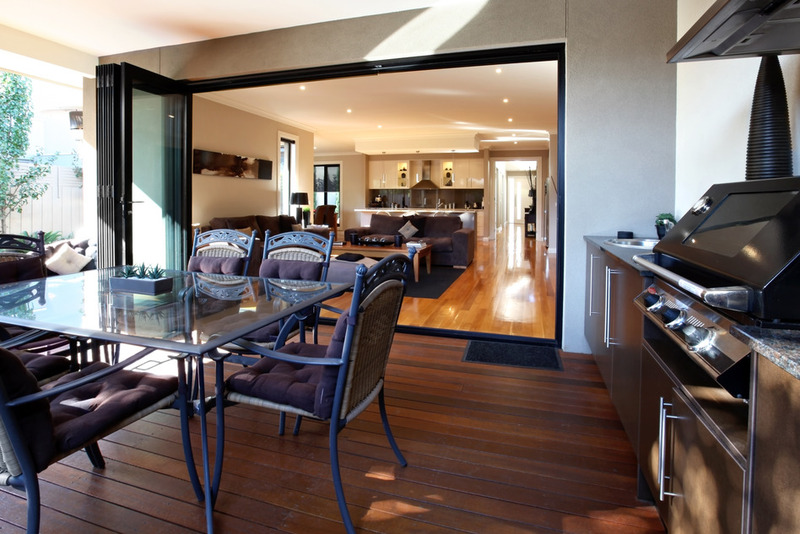 In terms of opening, if you compare them to French doors or an average sliding set of patio doors, bi-fold multi leaf doors can add half as much more clear opening space and can create a whole new feel to your home – whether you want to use them inside or outside. 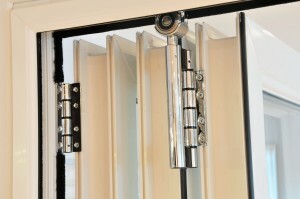 Manufactured and fitted to the highest standards, folding doors are there to use and enjoy whatever the weather outside. The thermal properties of modern sealed double & triple glazed units can control the amount and type of light penetration, whilst the weather proofing qualities ensure that whatever is going on outside, you stay dry and warm on the inside. If the weather is good, with the doors open, it can feel as if you have brought your garden right into your house. On the other hand, when closed, the doors allow you to have panoramic views onto the world outside. The doors themselves can be folded to left or right and you can also choose whether the folded sections stack up to the inside or to the outside of the property. Even though you may consider that having large fully double glazed, reinforced frames would be difficult to manage, the tracks and hinging allow the easy manipulation of the door system upon opening or closing. As you would expect, safety and security are considerations with so much glass, your bi-fold doors feature toughened glass and safety glass as standard. The locking systems use multi point features to ensure high levels of resistance to intruders and can include “anti-lifting” tracks. Save the time & stress of searching – we bring quotes to you.